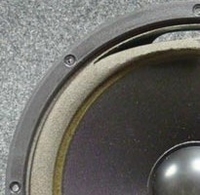 Special foam ring (size, shape and thickness) to repair the 15 inch Tannoy woofer. 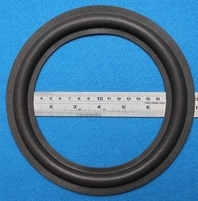 Special foam ring (size, shape and thickness) to repair the 12 inch Tanooy woofer. 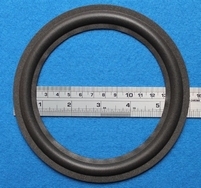 Special foam ring (size, shape and thickness) to repair the 12 inch Tannoy woofer. Special foam ring (size, shape and thickness) to repair the 10 inch Tannoy woofer. Nach der Reparatur ist es manchmal nicht möglich die Gasket wieder an seinen Platz zu stellen. For the series I & series II of the PBM 6.5. Also in rubber.